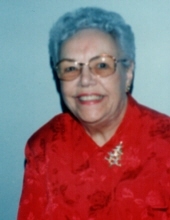 Beverly – Pauline L. (Desjardins) Taylor 98, beloved wife of the late Philip M. Taylor, died Saturday, March 30, 2019 at Care One at Essex Park in Beverly. Born and raised in Salem, she was the daughter of the late George E. and Pauline L. (Carbone) Desjardins. She graduated from St. James High School in Salem, class of 1938. At the age 22, she moved to Beverly where she had resided for many years. As a young woman, Pauline had been employed at her grandfather's business Desjardins Jewelers in Beverly where she worked full time and part time for forty years. She had also worked for the General Electric Company in West Lynn where she served in many capacities from 1943 to 1976. Following G.E., Pauline worked for Johnny Appleseed’s in Beverly in nine years. During World War II, Mrs. Taylor was involved with the U.S. Bond Drive and Blood Bank. She was a columnist for both the G.E. Works News and the Local 201 United Electrical Newsletter. As part of the Independent United Electrical Union Local 201, she served as their hostess, the activities committee; was elected Union Counselor, a District Council Delegate. Active in the Church and the community, Mrs. Taylor was a parishioner of the former St. Alphonse’s Church where she served as the past president of the League of Catholic Women and a member of the choir. She was also a member of the Senior Citizens Club of Beverly, the Melody Aire’s of Beverly, the Lothrop Club in Beverly, the Ipswich Senior Citizens, the Silver Strands Choral Group in Ipswich and a life member of the Independent United Electrical Union of West Lynn. Surviving her are four grandchildren, Mark A., Ross E. and Dana L. McIntyre and Vale Capozzi, four great grandchildren, Samantha, Kaleigh, Dana E. and Dante McIntyre, three step great grandchildren, James, Jennifer and John McIntyre and many nieces, nephews and cousins including niece, Deborah O’Leary. She was also the mother of the late Sandra J. Carbone, sister of the late Jean Archibald and Jacqueline Francis, niece of the late Flora I. Steele and Edna C. Lebel and aunt of the late Karen Stadlen and Janis Murray. Her funeral service will be held at the Campbell Funeral Home, 525 Cabot Street, Beverly, Friday, April 5, 2019 at 10 a.m. Relatives and friends invited to attend. Visiting hours Thursday from 4 to 7 p.m. Burial in the North Beverly Cemetery. Information, directions, condolences at www.campbellfuneral.com. To send flowers or a remembrance gift to the family of Pauline L. Taylor, please visit our Tribute Store. "Email Address" would like to share the life celebration of Pauline L. Taylor. Click on the "link" to go to share a favorite memory or leave a condolence message for the family.